Home › Energy-Efficient LED Lighting › Kohree Led Novelty Christmas String Lights Micro 30 Leds Super Bright Warm Wh..
Kohree Led Novelty Christmas String Lights Micro 30 Leds Super Bright Warm Wh..
High quality & Moldable shape-This flexible sturdy copper wire can be easily bent, and shaped around plants, signs, furniture and almost everything else; Cost effective and energy efficient. It will not overheat after many hours of usage. You can safely touch it even after 14 hours of usage. Easy Operation-Comes with a compact battery box with ON / TIMER / OFF feature.1st press, the lights turn on regularly (6 hours on, 18 hours off, cycle daily), 2nd press, make the lights keep on,3rd press, turn off the lights. Requires 3 AA Batteries (Not Included). Brightness- Very thin wire hosts 30 very small LED bulbs that are about size of the rise grain and are intensely bright. With steady 360 degree viewing angle they illuminate in every direction. Perfect for any occasion-This LED Starry String lights is of Ultra Bright White Warm Color Micro LEDs that creates a light fairy twinkle effect. It's the perfect decoration option for all kinds of occasions. Satisfactory guarantee-Kohree stands behind all of its products 100%. These lights come with a 12 month warranty. If you received broken or defective lights, please contact us Kohree any time, we will compensate you with free replacement or full refund. 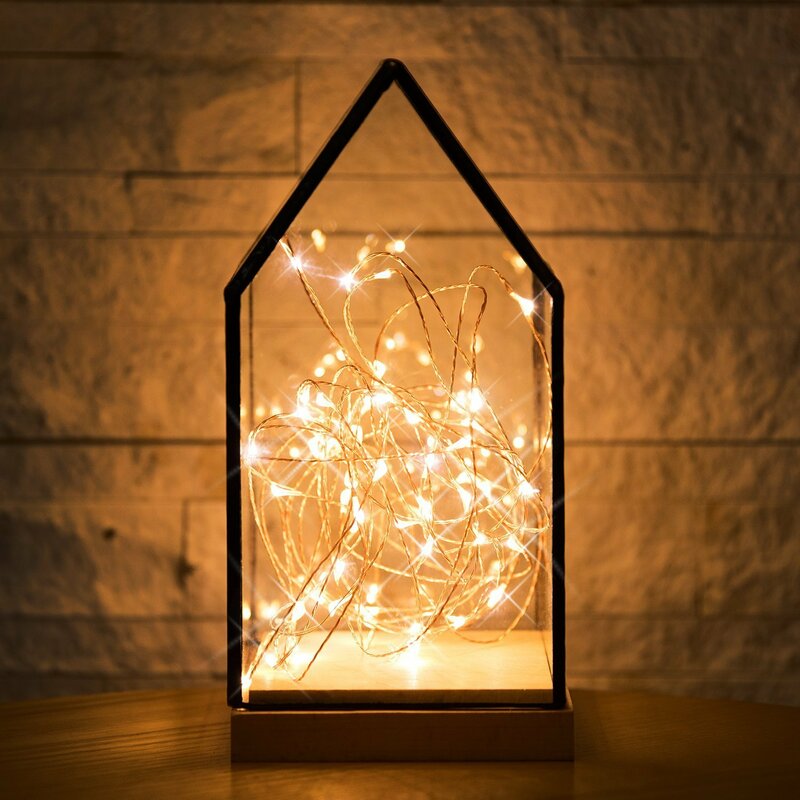 A great choice for crafters and decorators: Create a magical lighting experience for your home, party or business with theKohree warm white starry string light. The light Strings is the excellentdecoration for Christmas Gift. Starry lights battery operated, provide theeasiness of installing them anywhere, not only on your home. You will be ableto benefit of their light fairy effect on holiday, celebrations, weddings toenhance the flower bouquets, tables, bathroom and ceilings. 30 bright LEDLights (warm white) on 10ft long Ultra thin wire with 4 Inches between LEDBulbs and 12 Inches clear cable between wire and battery box, this makes thestar light less intense and more pleasant for the eyes. FEATURES AND BENEFITS: Flexible and sturdy copper wires with 30 bright LED Lights (warm white) on 10ft long Ultra Thin wire with 4 Inches between LED Bulbs and 12 Inches clear cable between wire and battery box 3 modes: TIMER mode-press button ONCE (6 hours on & 18 hours off); Constant ON mode- press button TWICE (about 168 hours in NEW battery); OFF MODE - the 3rd press to turn Off. Tips: This water drop Flexible Starry String Lights are designed to be used both indoors and outdoors, however, we recommend not to submerge the battery box in the water, also only use it outdoor when it is not rain. We recommend you to buy the rechargeable batteries or turn on and off in use appropriately. Please note that prolonged use reduces typical battery performance. Package includes: 1x 30 LEDs Fairy Wire String Lights (batteries not included) Stock is limited! Do not miss! Let your imagination and creativity run wild! Bring a stunning effect anywhere.